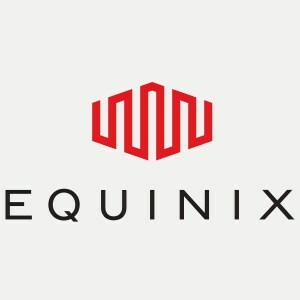 Equinix is one of the world's largest operators of carrier-neutral data centres and Internet Exchanges. They offer colocation, traffic exchange and outsourced IT infrastructure solutions to enterprises, content companies, systems integrators and over 950 network service providers - like IX Reach - worldwide. Equinix has over 100 data centres across 32 major metropolitan areas in 15 countries spanning North America, Europe, Asia-Pacific and South America. You can see all of Equinix's global locations by clicking here (it'll open a new tab). IX Reach have the following Equinix facilities currently on-net: Amsterdam, Netherlands: Equinix AM1, AM2, AM3, AM5 and AM7 Ashburn, USA (East Coast): Equinix Chicago, USA (Midwest): Equinix CH1 Dubai, UAE: Equinix DX1 and DX2 Frankfurt, Germany: Equinix FR1, FR2, FR4 and FR5 (ancotel) Geneva, Switzerland: Equinix GV1 Los Angeles, USA (West Coast): Equinix LA1 Manchester, UK: MA1, MA2, MA3 and MA4 New York, USA (East Coast): Equinix (Switch and Data) Paris, France: Equinix PA2 and PA3 San Jose, USA (West Coast): Equinix SV1, SV5 and SV8 Slough, UK: Equinix LD4 and LD5 Zurich, Switzerland: Equinix ZH1, ZH2, ZH4 and ZH4 Why not have a look at our network page to see how all these locations connect and what services IX Reach can offer.